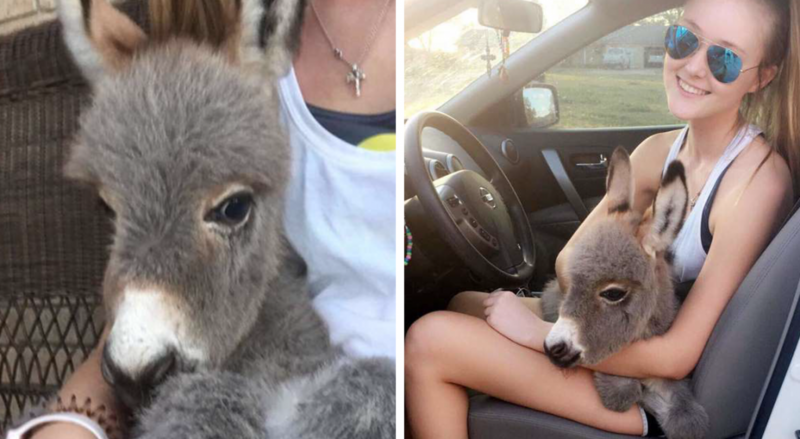 High school student Payton Dankworth from Ballinger, Texas, has accidentally found herself as the momma to a tiny little baby donkey named Jack, and she couldn’t be prouder! It all started a few weeks back, after she got a call from a friend who had made a heartbreaking discovery. Having nursed him through that critical period, Payton and Jack quickly became inseparable as he took to his new family and surroundings. And although she’d never looked after a donkey before, Payton was now Jack’s momma, whether she liked it or not! Since Jack came into her life, she has been inspired by his transformation to the point that she is now determined to look after animals for a living. It is clearly something that comes naturally to the 17-year-old, you only have to watch Jack bouncing around to see how happy and healthy he is! What do you think about Payton and Jack’s heartwarming story? Let us know in the comments and check out Jack’s very own Instagram account here!